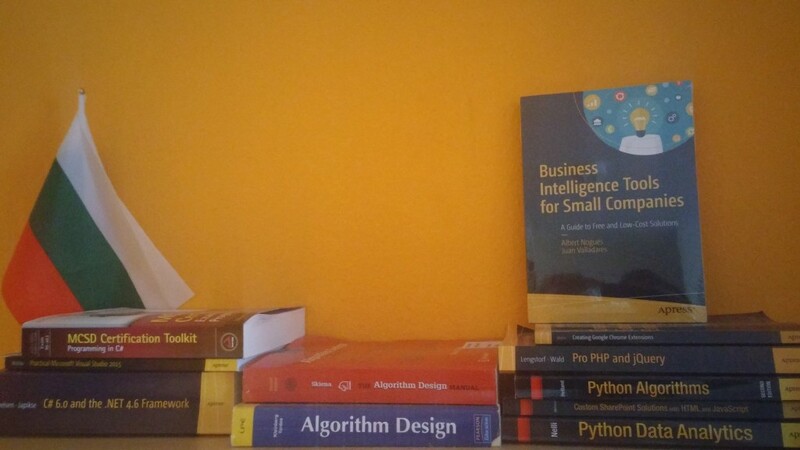 About a month ago I have received the Business Intelligence Tools for Small Companies book, upon a request from my site to Apress.com. Now, the book is read and I am writing the review. In general, the book starts with the idea that you are new into ERP systems and it nicely explains their basics and the way you set up an ERP project into the first two chapters. There, the authors give nice and digestible examples of how an ERP system can help a small business – e.g. imagine that you are the CEO of a small company dedicated to cookie manufacturing, and based on the sales reporting by product that you are analyzing, you detect that Cream Chocolate cookies have been decreasing in monthly sales every month. If you have an ERP system, which is well set, you may investigate the probably reasons behind this result. After explaining the history of the ERP systems and their basics, in the second chapter there is an introduction about agile methodologies – scrum, kanban and a mixture of them. In the second chapter I have read the term “Definition of Done” (DOD), which I have actually even used at work 🙂 (so, the book is relevant, I am not joking). Chapter 3 is about SQL basics. In chapter 4 you are installing the open source Odoo ERP system, you connect it to a database and you start “working” into the real ERP worlds. I have made a small research about Odoo, it seems that its one of the top free ERP systems on the market. 🙂 There are plenty of relevant screenshots and step-by-step instructions in the installation and the setting of Odoo. In general, I liked that the whole book is written with the idea, that a passionate analyst in a small company can actually change the way the whole company works, by introducing a free ERP system. Although, this seems quite dangerous to me (I have written a master thesis about what can go wrong, when an ERP is changed) this is the way to make people in small companies believe that there is a cheap alternative of an expensive ERP solution (coming with expensive ERP consultants). Thus, if you are an analyst in a small company, working more than 5 hours per day with Excel and its formulas and your financial manager laughs when he hears Oracle, SAP or NaVision – this book can be a game changer for you. – No cons, the book is ok.